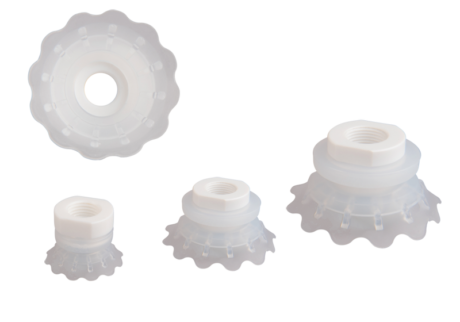 FIPA is expanding its range of flat vacuum cups with the Variopack® SL-FP series. The extremely flexible sealing lip and inner cleats ensure that these wear-resistant vacuum cups are optimised for the highly dynamic handling of flowpacks. The materials used for sealing lip and fittings are compliant to FDA and EU 1935/2004 and therefore suitable for direct contact with food. The packaging industry is increasingly using material-saving flowpacks for food, pharmaceutical and cosmetic products. These have proved invaluable, for example, for liquid soap refill packs. The silicone of the vacuum cups and the plastic material used for the fittings is compliant to FDA and EU 1935/2004. Handling flowpacks is tricky, especially when liquid moves around in the pouch. They are not dimensionally stable and crease on being picked up. Commercially available flat vacuum cups often leak, which causes the pouch to detach from the vacuum cup and drop into the packaging machine. 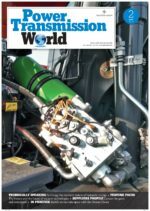 Costly machine downtime is the result. 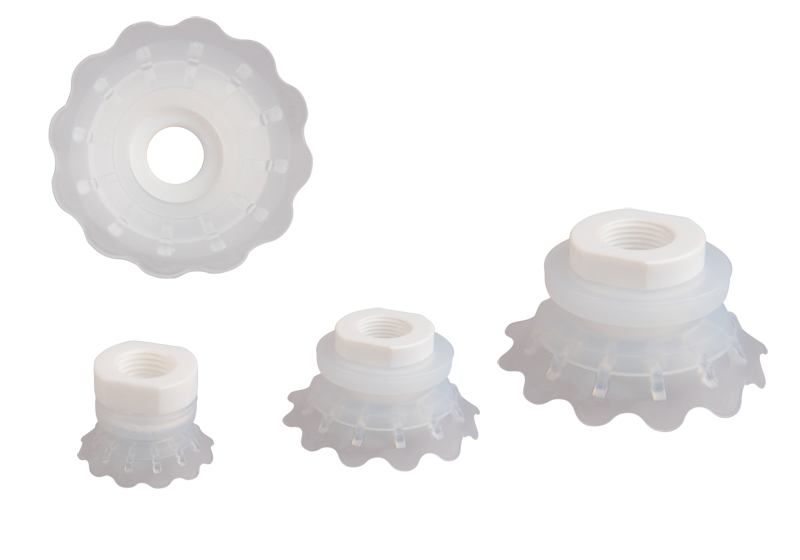 The extremely soft sealing lips of the new FIPA Variopack® vacuum cups ensure that the cups flexibly adapt to the wrinkles of the pouch. Inner cleats accommodate very high lateral forces that affect delta robots and other high-speed packaging machines. 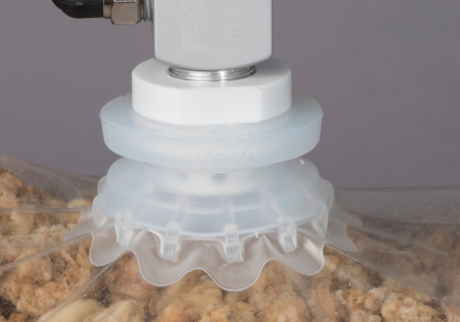 Variopack® vacuum cups are therefore approved for direct contact with food and can also handle fresh fruit, vegetables as well as baked goods. In the medical and pharmaceutical sectors, for example, they are used to grip infusion and blood plasma bags.